Women nationwide and beyond are banding together in the community-based organization, Polka Dot Powerhouse. This women’s network, founded in Eau Claire by Shannon Crotty, allows members to communicate, bond, and become activists on a large scale. Through the organization’s global reach, all those who wish to get involved can. This sisterhood is composed of lively women trying to improve the workforce for each other. With all-female leaders and organizers, the energy is addictive! 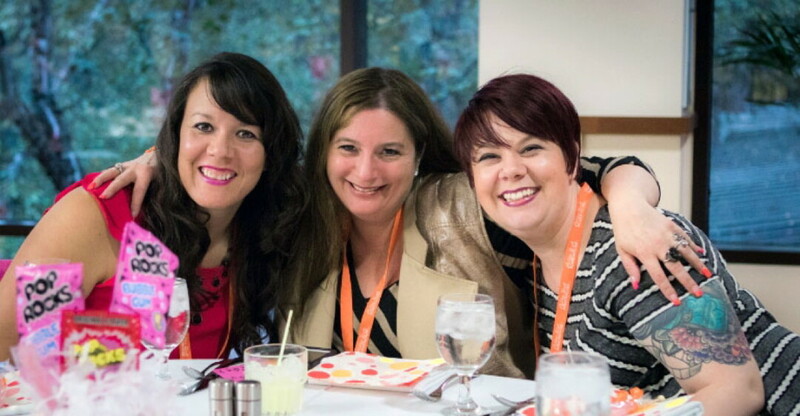 Polka Dot Powerhouse’s slogan genuinely summarizes its mission: “Changing the world by connecting the dots.” With thousands of members worldwide, Polka Dot Powerhouse is positively impacting women everywhere and is constantly growing. PDP’s website hosts a plethora of information and opportunity. Women can partake in workshops and monthly online connection meetings, contribute to the PDP blog, and more. An interactive map displays regional chapters, and a calendar of event listings is available. Women who would like to test the water may attend as a guest for free to observe and participate. This organization stretches beyond the United States, with chapters in Canada, the United Kingdom, and Australia. However, locally, PDP has about 120 diverse members. Participants vary greatly by career and age, from young women just entering their field to retirees exploring new career paths. Eau Claire chapter member Tracey Smiskey found time to attend PDP meetings upon switching careers to work at Northwestern Bank. “These meetings are more than a typical networking event: The setting is warm, welcoming, and encouraging,” Smiskey said. “It removes any awkwardness and allows women to meet fellow women.” Although Smiskey joined the Eau Claire chapter only about a year ago, she has assumed a leadership position within the chapter as Life & Times Member Keeper. PDP gives back both to members and to the surrounding community as well. Chapters plan social events such as run/walks and bowling teams in support of local charities and causes. During the holidays, Eau Claire’s PDP collects gifts, money, and food donations for local families, surprising them with the donations prior to Christmas. This year’s drive netted donations totaling more than $3,200. Briannon Cypher, managing director of the Menomonie branch, referenced the organization's mission statement, “We connect (women) to network together.” This social and professional outlet is an amazing tool for any woman to use. With the help of Polka Dot Powerhouse, the possibilities are endless. Learn more about Polka Dot Powerhouse at polkadotpowerhouse.com.